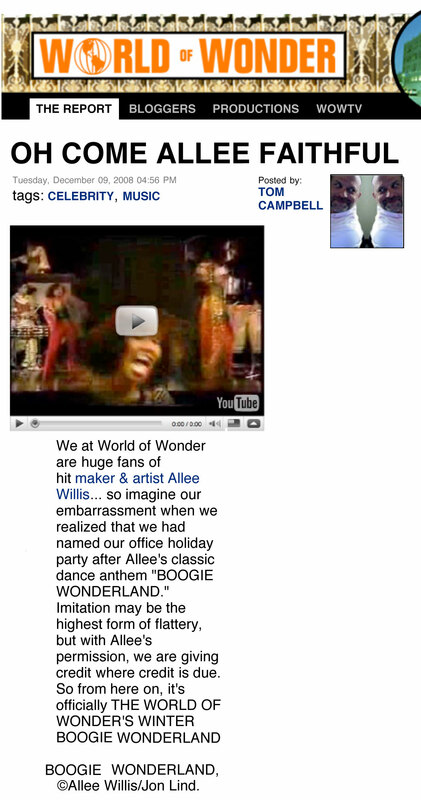 When I co-wrote the song “Boogie Wonderland” in 1978 every other record that came out had the word “boogie” in it to capitalize on the Disco craze that had wrapped itself around the world tighter than a spandex miniskirt. I spent hours with Jon Lind, eventual writer of such hits as Madonna’s “Crazy” and Vanessa Williams’ “Save The Best For Last”, discussing how we could use the word “boogie” in a song without using it as a synonym for ‘dance’ as trillions of composers before us already had. I had just seen the movie “Looking For Mr. Goodbar” in which Diane Keaton goes to the disco every night, picks up men and brings them home, eventually stumbling on a serial killer. The state of mind of a club-goer who gyrates their brains out on a dance floor, escaping for a precious few hours their otherwise dysfunctional life is the state of mind that to us was Boogie Wonderland, a wondrous and temporary headspace where all is well and life is bouncing to a happy beat until the record ends and life deflates back into its more depressed state. 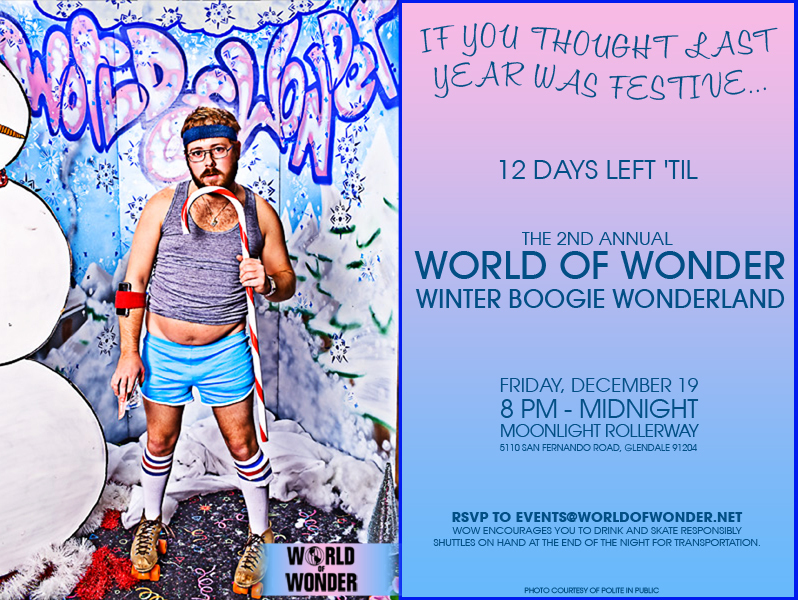 Over the years, the term “Boogie Wonderland” mutated to “Willis Wonderland”. Not by me but by friends and almost any writer who wrote about me and attempted to describe my living quarters and lifestyle. But as any good writer knows, one must be judicious about how often one uses these monikers. What starts out as descriptively hip ends up tragically trite. Dare I say “King Of Pop”? So I’m very careful about how many “Wonderlands” I drop. 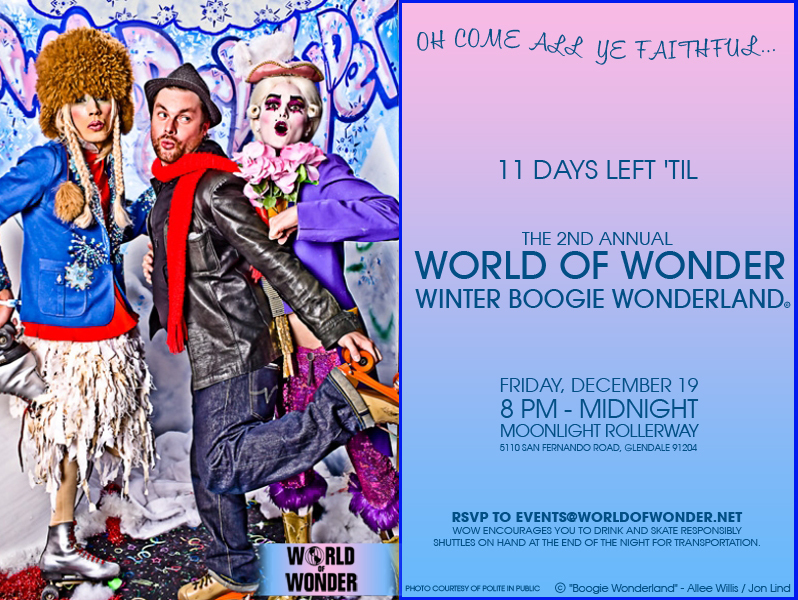 So imagine my surprise a couple of days ago when I received an invitation from a company whose work I like and who, from time to time, represents my art inviting me to a “Winter Boogie Wonderland” roller skating party. That would be like me calling an event of mine “Allee’s World Of Wonder” (their name). What are people thinking?! And why on earth would you send me an invitation when you used my title? I know, I know. What you hope and pray for as an artist is to create something so catchy and unforgettable that it becomes a lexicon in the culture. In that respect I am eternally grateful to be borrowed from. But word to yo mama, if you’re borrowing someone else’s creation at least take the time to edit your mailing list. That’s like when, in seeking songs for the movie “Beverly Hills Cop”, the music supervisor sent me a copy of my own song, “Neutron Dance”, instructing that this was the song one should emulate – translation: rip off – when submitting songs for the movie. I bitched at first, boycotting the stampede of writers who rushed to steal the beat and spirit of ‘Neutron Dance”. Only to call up my co-writer, Danny Sembello, and tell him we were being stupid by not ripping ourselves off. Who better to do that?! And way better to have a song in a hit soundtrack that you would eventually win a Grammy for than to remain pissed off that your creation was used as a blueprint on the way to someone else’s wealth. No time for the “Neutron Dance” story to be written here but point is stop soaking in your own stew and take some action! Songwriters are so often overlooked. We’re the faceless creators of the hits that singers and producers get the lionshare of attention for. We’re the people who never get paid when their songs are part of movies that made zillions in video and DVD sales. We’re the folks who rarely get paid at all anymore these days as people have universally decided that music is in the public domain and less deserving of compensation than a pair of underpants or a fishing lure or any other product someone made. Performers have ticket sales and tee-shirts to grab the cash from. SAG members have a Union. Songwriters just get fucked. So I want to thank World Of Wonder for having a conscience and being responsible for their borrowing. You have more than made up for the transgression. Perhaps you’ll be having a party next “September” and need a good title? “I’ll Be There For You” then as well.